We forget but Iron Man wasn’t a sure thing 10 years ago. When Ant-Man and the Wasp hits theaters next week, it’ll be the 20th Marvel Cinematic Universe film released in the past 10 years. That’s a lot, and—especially after the unprecedented success of the last two films, Avengers: Infinity War and Black Panther—it’s easy to forget this was never a sure thing. 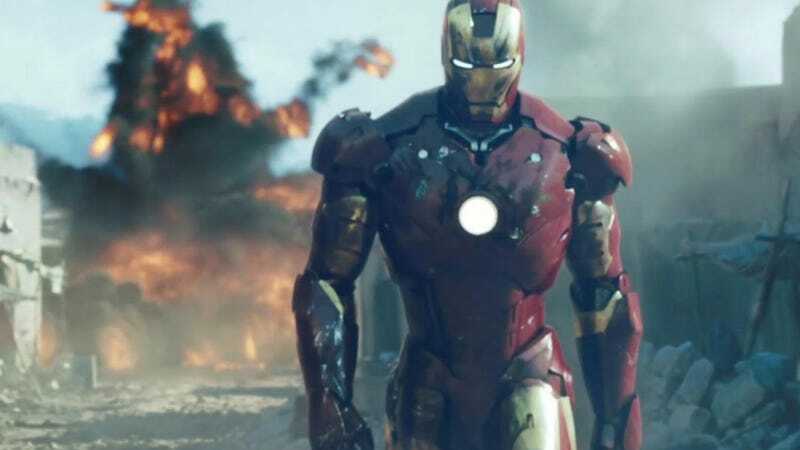 In 2008, Iron Man was considered a B character. Thor, movie about a god with a hammer, seemed far-fetched. There was no guarantee that audiences would turn out for a period action movie like Captain America: The First Avenger. And bringing together six heroes together into one movie, The Avengers, had never been done before. At the junket for Ant-Man and the Wasp, io9 asked Marvel Studios president Kevin Feige which of the company’s films he was most nervous about upon release, and which success was the most gratifying. He immediately went back to the beginning. “Then even [the first] Avengers—the notion of putting all these people together before their movies had come out,” he said, referring to the fact that Marvel was filming The Avengers before some of its preceding films had been released. As fans, we sit back and study the most recent films: the gamble of Infinity War doing what it did, and the global appeal of Black Panther. Maybe even the outer space setting of Guardians of the Galaxy. Feige is proud of them all, but he still feels like without that first act, Phase One, none of the rest would be possible. Marvel Movie 20, Ant-Man and the Wasp, opens July 6. First Avengers Reviews: Best Superhero Movie Ever? What&apos;s Missing From Edward Norton&apos;s Incredible Hulk?